Penguin 4.0 was released on September 23,2016. The core search algorithm now runs in real time, which means future updates are no longer necessary. It’s been two years since the last update. The algorithm is used to fight websites that spam. The filter runs and catches spammy content and penalises the website. Up until now, penalised websites would have to wait until the next filter ran before they saw improvements in search. For those penalised by Penguin 3.0 have has to wait since October 2014 to be free from the penalisation. The real time update means these long waits will no longer cause problems for webmasters. Google stated that the data will now be refreshed in real time so any changes will be made apparent faster and will appear once the affected page has been re-crawled and re-indexed. 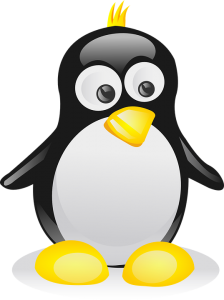 The re-crawling and re-indexing now happens constantly and the Penguin filter will now work at the same time. This means all pages will either be caught out for spamming regularly but also freed from the penalty regularly too. The recently updated algorithm now works to take value away from spam by using spam signals and making adjustments accordingly. The algorithm used to give a penalty to the entire site and Google have said that 4.0 will be more granular, but it’s not apparent if this means only the spammy pages will be affected or if the whole site will be penalised. Search Engine Land believe that what this means is while the entire site may not be affected it may impact sections of the website or specific pages but that some other parts of the website might not be penalised. We will not hear of any future updates to the Penguin algorithm from Google. Updates are no longer needed due to the constant nature of Penguin 4.0. This last update is rolling out and may not be completely live yet, but it should be by the end of the week. You should notice any changes quickly once Google revisits your pages. Would you like help with the SEO of your website? Give us a call or send us a message and ask us about our SEO services. Previous PostDo You Know the Purpose of Your Blog Post?